"In a christian country no man will be allowed to die of hunger." Rev Joseph Duncan, Kylemore, 23 September 1846. The Great Famine found Connemara heavily congested with paupers. A large percentage of the population were poor tenants sustaining themselves on what they could grow on their few acres of land and on the fishing. Their landlords were, for the most part, on the brink of ruin and the Famine would be their downfall. The shopkeepers and "petty dealers" would, in a short period of time, be either reduced to the level of paupers or make sufficient profits in the trade of food to greatly improve their position for the future. In 1841 Connemara had a population of 33,465; by 1851 that number was reduced through starvation, fever and emigration to 21,349. This is the story of the people behind the statistics. The story of the anguish, humiliation and the pain they endured in their fight to survive the greatest calamity in Irish history. 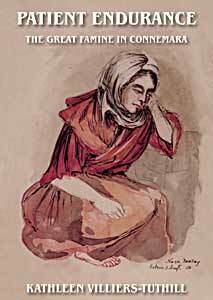 This book is a significant contribution to local studies of the Great Irish Famine. The author's impressive knowledge of and affection for Connemara give a particular interest to her account of those tragic years in the west of Ireland.